Downtown Los Angeles not far from Little Tokyo. There is a light rail transport stations a couple of minutes away. 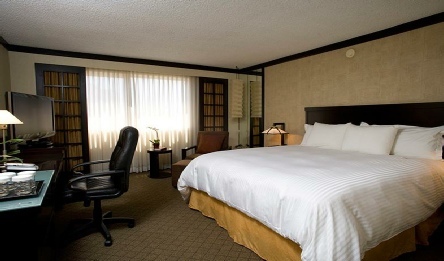 A cable TV is provided in each guest room at the Miyako Hotel Los Angeles. All of the tan coloured rooms include a refrigerator and coffee facilities. Pay-per-view movies are available in all rooms. 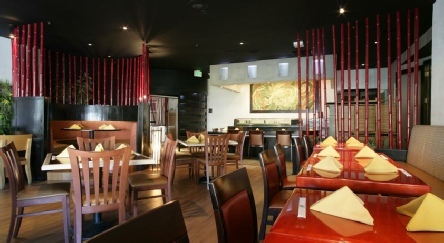 Tamon Sushi restaurant at the Los Angeles Miyako serves Asian cuisine, while the adjacent Ohjah Lounge offers a full bar and snacks. Guests can visit Cafe Take 5 for a cup of coffee or tea. There is a full-service spa and a business centre. This contemporary hotel fronted by a towering wooden pagoda in the Little Tokyo Historic District is a block from the Japanese American National Museum and the closest light-rail station. 2019 package holidays to the Miyako Hotel, Los Angeles Prices are per person based on two sharing, including flights and accommodation (plus transfers in Caribbean destinations), and are subject to availability. Flights from Heathrow - other departures also available, call for details.